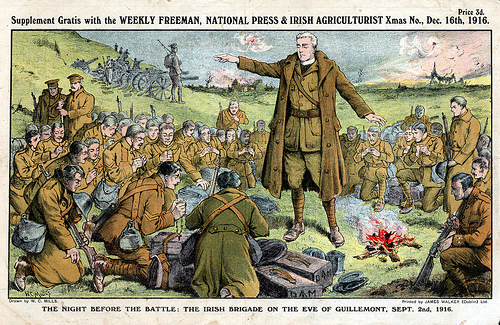 The above image was published in an Irish newspaper at the end of 1916. 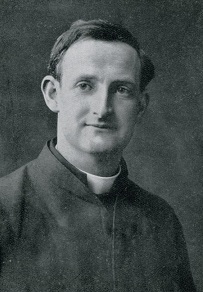 The priest is unidentified, but we can well imagine Fr Doyle in this situation. 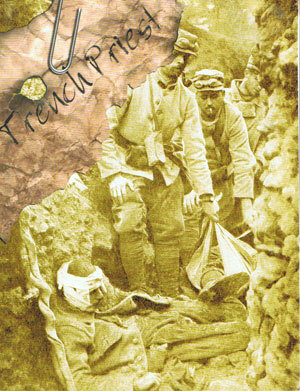 The picture represents a scene from 2nd September 1916. 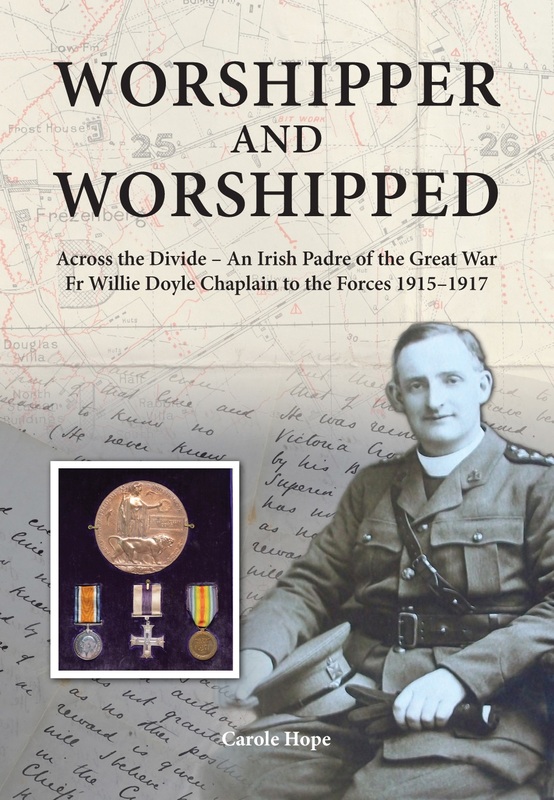 Fr Doyle and his men had to suddenly march to the front one night in September 1916 alright, but it was on the evening of the 3rd and not of the 2nd. Each morning Fr. 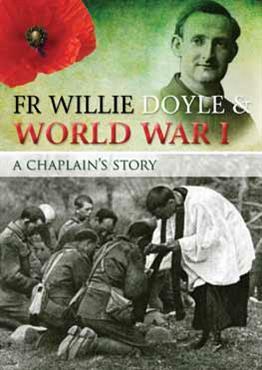 Doyle said Mass in the open and gave Holy Communion to hundreds of the men. 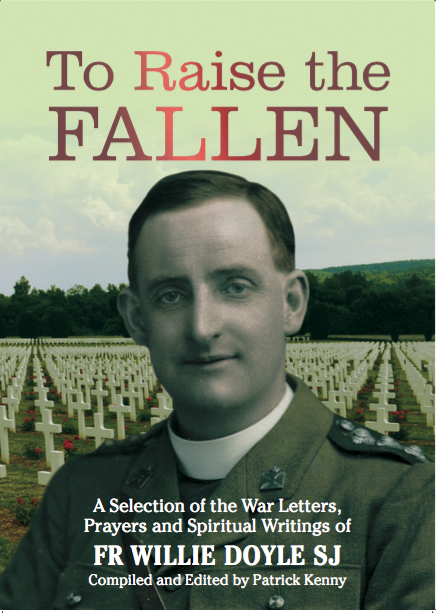 “I wish you could have seen them kneeling there before the whole camp, recollected and prayerful a grand profession surely of the faith that is in them. 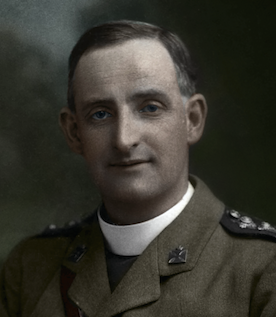 More than one non-Catholic was touched by it; and it made many a one, I am sure, turn to God in the hour of need.” On the evening of Sunday, September 3, just as they were sitting down to dinner, spread on a pile of empty shell boxes, rgent orders reached the 16th Division to march in ten minutes. The night was spent without covering or blankets, sitting on the ground. 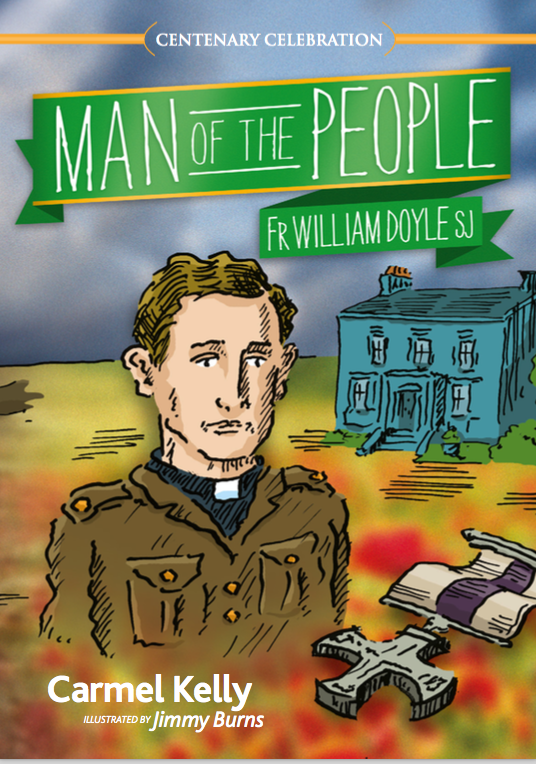 Tomorrow we shall pick up from this point, with some of Fr Doyle’s typical close shaves with death.